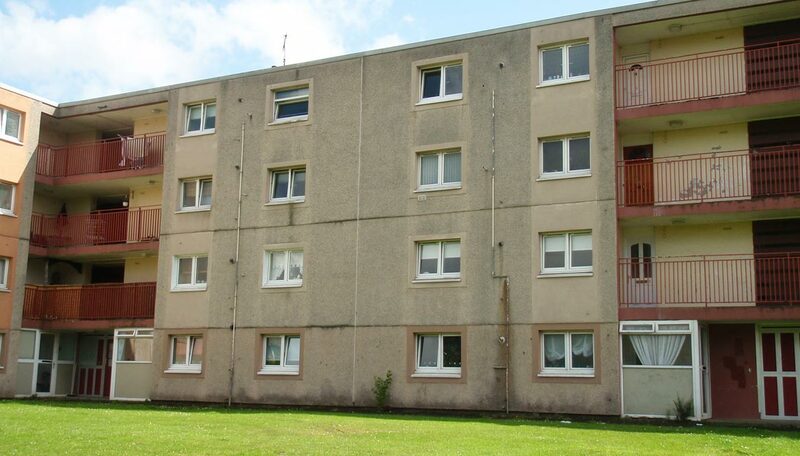 This project involved the renovation of a 52 unit flatted development in Kirkintilloch. 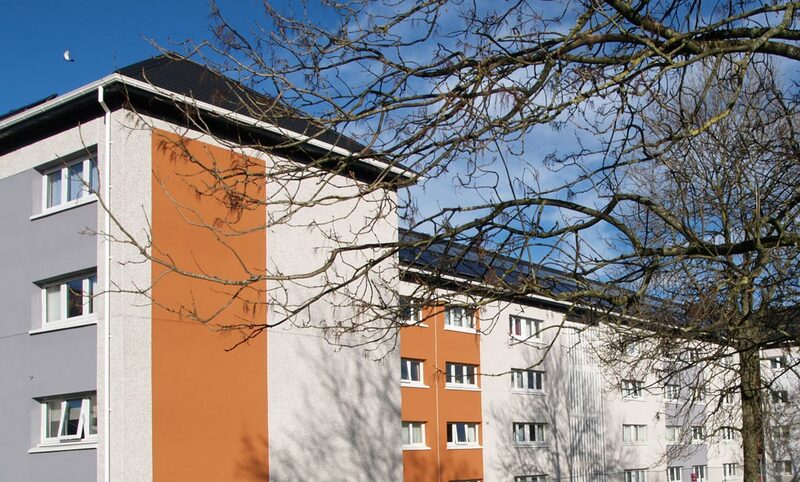 The project was carried out in three phases and collectively included the installation of a new pitched roof with integrated PV panels, replacement windows, external wall insulation, new porch installation, close reconfiguration and enclosing of open access decks as well as various internal works and landscaping. 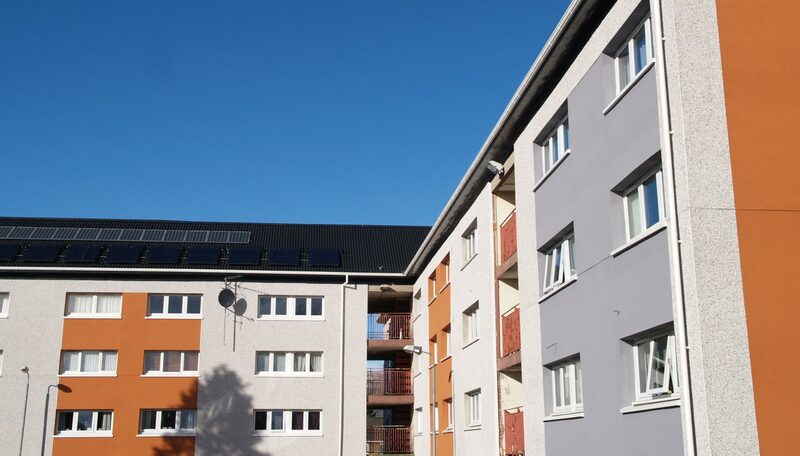 The overall aim of the works was to improve the environment for the residents with the hope of reducing anti-social behaviour in the development.